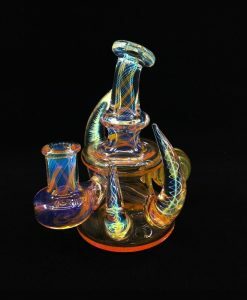 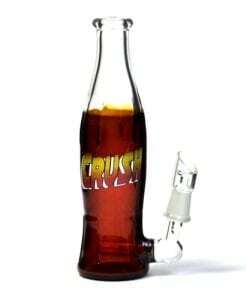 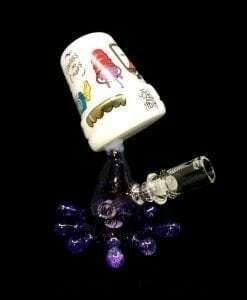 This Oil Rig features a glass paper cup design complete with matching dome. 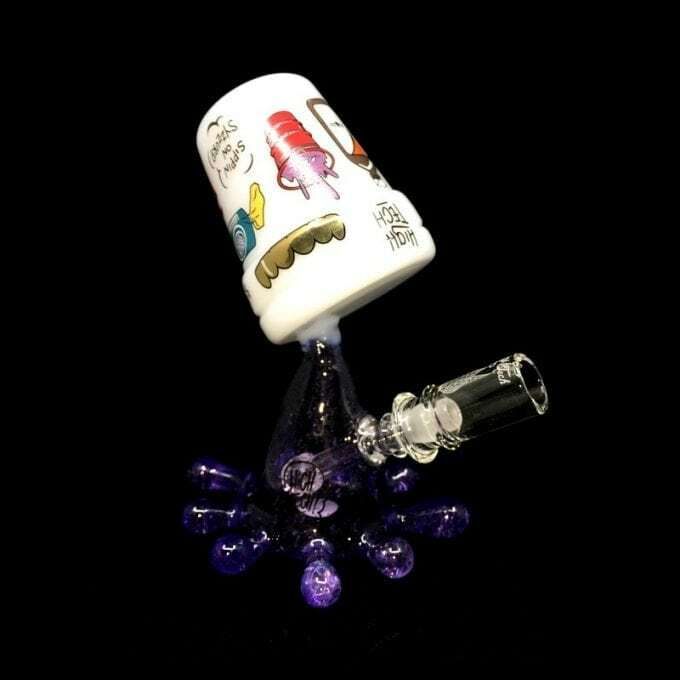 This High Tech Glass Double Cup Rig features a purple liquid spill from paper cup design with custom decals on the cup. 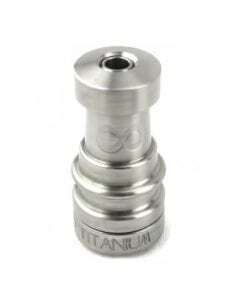 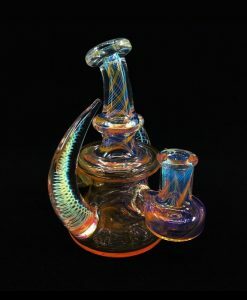 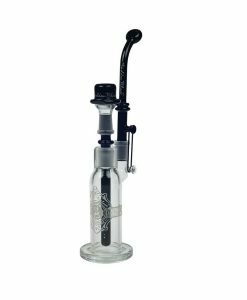 This rig includes a fixed downstem and matching dome. 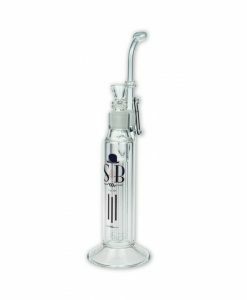 All High Tech Glass is made from High Grade German Schott Glass which provides a more clean and clear look, while adding extra durability.